Roll up...roll up... 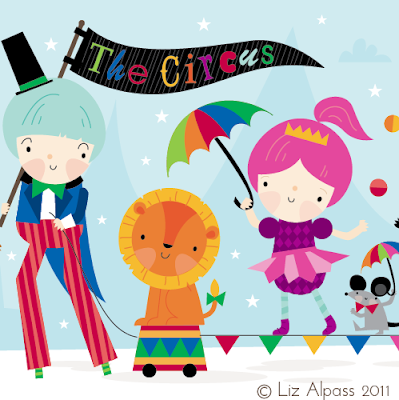 The Circus is coming to town. This was so much FUN to do! It was hard to decide what characters to use and which ones I needed to leave out. I did an interesting elephant which I didn't end up using but I might save it for another illustration. I'm also going to try and simplify this illustration and use it in a pattern. What do you think?